Just as anticipated, Tuktoyaktuk is seeing an influx of tourists thanks to the Inuvik Tuktoyaktuk Highway, and is starting to offer more services to meet their needs. 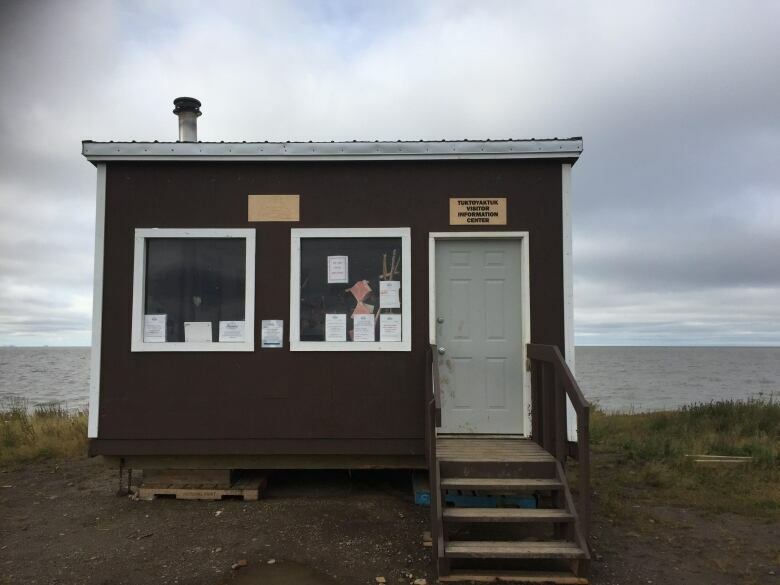 Just as anticipated, Tuktoyaktuk, N.W.T., is seeing an influx of tourists thanks to the Inuvik Tuktoyaktuk Highway, and the hamlet is starting to offer more services to meet their needs. Thanks to the help from the N.W.T. Department of Industry, Tourism and Investment, the hamlet was able to add a visitor information booth this year. Annie Steen, the hamlet's economic development officer, said previously visitors went to the hamlet office, where they could sign a guest book and look at crafts. The new booth, which opened July 18, is located at an area known as The Point, in the most northern area of the hamlet. It's surrounded by the ocean and is a popular spot for tourists to set up camp. The highway has been open since last November, but an influx of tourists started to arrive in June, after the road was shut down for nearly a month due to muddy and swampy conditions. Steen says she believes the hamlet is on target to host more than 5,000 tourists this summer. With the visitor booth open, not only has the community been able to collect data on how many people are entering the hamlet, but they're able to provide tourists with more information on the community. "The whole idea is to connect tourists to product or provide them information on services, and to make their experience in the community more positive," said Steen. She said the booth will remain open until the first week of September. Next season, Steen is aiming to open a "bigger and better" tourist information facility. The hamlet and locals are also looking at what else they can offer in the future, such as an RV park or heritage centre. Steen says some locals are in the early stages of trying to get a hotel or motel in operation for next summer. "Kudos to the community for being entrepreneurial," she said. The Pingo Market has also given people an opportunity to sell their goods three times a week. Many have also gone to The Point to sell their crafts and food. Joanne Edwards-Steen is expanding the hamlet's culinary options. 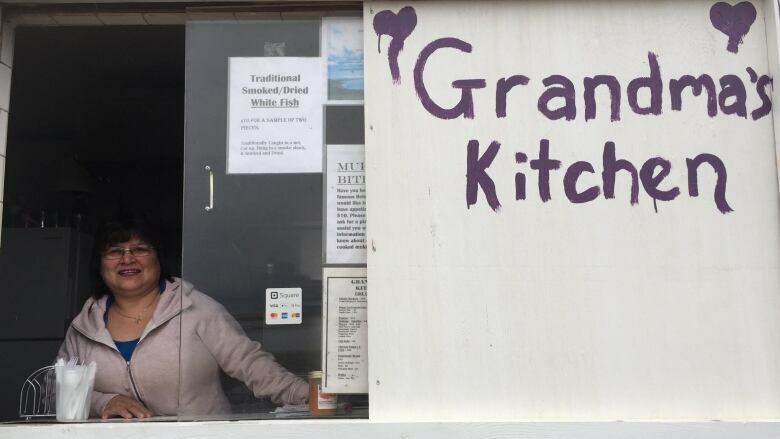 She's opened her own takeout stop called Grandma's Kitchen. She says she's been very busy. Although she offers items like burgers, she says tourists have been more interested in the traditional food on her menu. "Now I do filleted fish, fried fish and all that for them," she said. "They just want something like muktuk [whale] and dried fish … just something native that we eat around here."